TVB Siu Sang Bosco Wong and Michael Miu (3 Gor) collaborated several times and has become good buddies. Surprisingly, Bosco and Michael's wife Jamie Chik (3 So) also clicks very well. When the three of them come together, they turn into big kids. Bosco teased 3 Gor is a naughty big kid, he always teaches him all the false reasoning, causing extreme embarrassing and funny moments for him. Bosco is now single and praised 3 So's inner and outer qualities, she is the type he wants for a wife! Jamie: Of course I only know Bosco because of 3 Gor! Otherwise, why would I know such a handsome young man? 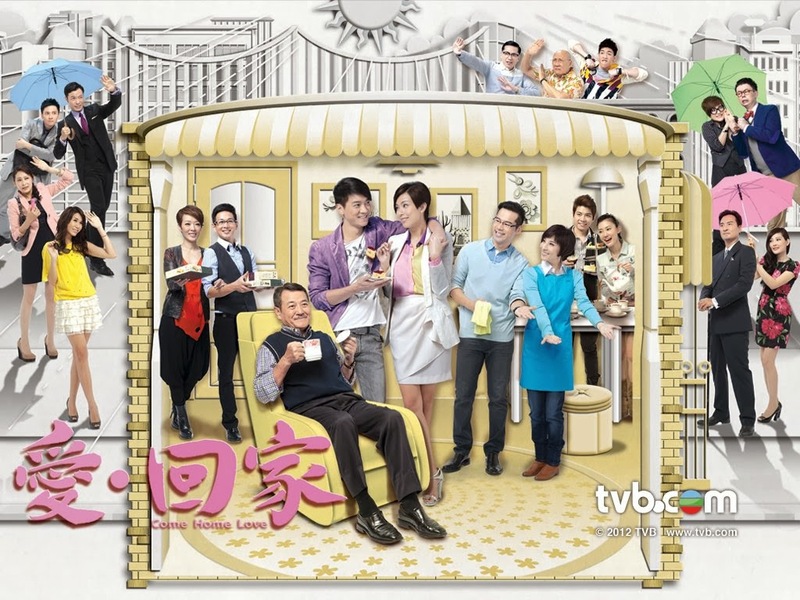 About 7 years ago, 3 Gor collaborated with you (Bosco) on his second comeback series in TVB. I thought you were very polite and took initiative to greet me. Then we got more and more familiar. Sometimes you even bring your mom with you to dinner. Bosco: Actually, I thought 3 So (Jamie) was very strict at first, [since] you know 3 Gor is a big guy, but when facing you, he's a little scared too! Jamie: He respects me a lot! Bosco: So that's why I thought you should be quite firm! But once you start speaking, you give yourself away. 3 So is a very happy person and takes good care of us. She often make soups for us to drink and she gives me the feeling like she's a big sister or an 'Ah So'. Jamie: I think you're like the sunshine type, 3 Gor was like that too when he was young. He can chat with anybody, very active and gives off a close/familiar feeling! You, Ron Ng, Raymond Lam and the group of youngsters are always joking around. You guys make me feel young too! Bosco: I learned it from 3 Gor! Sometimes I tease 3 Gor, let's go out partying together, he plays along and agrees to it, but once he hears 3 So's name, he says he's not going! We're always laughing, it's so much fun! Jamie: In the past, you and Myolie Wu had a good relationship, always saw you two like a sweet young couple. You two actually gave me the feeling like how 3 Gor and I used to be when we were young, but it's the past now and shouldn't be mentioned again! You didn't even tell me about your relationship issues. Bosco: Didn't really have to talk about it, even if I'm unhappy, 3 Gor would come up with something random false reasoning. He says he'll "finish me up", I just think this is a different type of education from 3 Gor and 3 So. They just tell me not to think too much and they want me to be happy. Jamie: You are a good guy. You know 3 Gor likes silly things, and when you go out clothes shopping, you would ask 3 Gor too and the things you pick out are usually what he likes! Bosco: I just help 3 Gor buy them! He likes to look pretty too! You see, he even has an earring now! Jamie: I will be participating in a stage play for fundraising purposes along with Louie Castro, Meg Lam and Lo Hoi Pang. Last year, it was very popular and so I thought, why not we get young people like yourself to guest star in it too. That would attract many more fans! Bosco: You all may not remember, but when I first debuted, I've been in Enjoy Yourself Tonight, but I wasn't in it for long. However, I met Pang Gor and Alivina Kong there! Even if it's 'Shrimp Daddy (蝦仔爹哋)' from the 80s, I still watch it. Pang Gor's golden line, I still remember it! Jamie: Many roles haven't been confirmed yet, but I have confidence in you. It won't be a challenge for you. Bosco: This time, it will really be a huge challenge, I don't know if I can do it or not. I'll see what happens on the spot! Jamie: You're so naughty, I'm afraid you might strip Pang Gor's clothing! When you get on stage, you can legitimately play jokes on your seniors and they won't know what's going on! Bosco: Yes! I have my own secret weapon, it will be entertaining after all. Jamie: I can consider getting all those young people like you to be my boyfriends! Bosco: Well then, I will have to be 3 Gor! You say I resemble 3 Gor, I do hope to be like him, in the gaming world, have so many friends and such a fine wife! What's most amazing is you are skilled at running businesses. I still hope to start my own business and giving it a try, but haven't had the time yet! Jamie: It's just waiting for the opportunity, perhaps later someone will ask you to be their partner! Bosco: So that's why it would be helpful to have an other half, that be quite happy! Jamie: Actually, I watched many of your TV series and I really think you are continuously improving. You are diverse, you can portray good, evil, wealthy or poor roles. It's difficult to convince people. Just like 3 Gor, his outer appearance looks too honest and sincere, when he did those silly characters in the past, it didn't work as well. I think you're naturally born superior, I support you for TV King. Bosco: Thanks! Actually, I don't really think about awards. People think I have a high chance because I'm older now and considered a senior!